Lucan | St. Thomas' J.N.S. 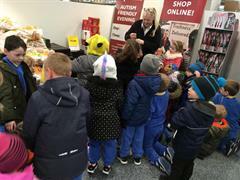 Room 10 had a fantastic trip to Supervalu today. We were shown around all the different sections and got lots of yummy treats to try. We had great fun!